Recently Christa Tam, whom I’d met in Hong Kong earlier this year when I was taking part in the Hong Kong International Young Readers Festival, asked me to write something about my favourite childhood book. Christa is book project manager of the Blooming Club in Hong Kong. My favourite book shouldn’t have been my favourite at all. It was full of gruesome warnings to children about the ghastly things that would would happen to them if they didn’t behave. I loved its melodrama and its brightly coloured illustrations, often in panels like early comic strips. 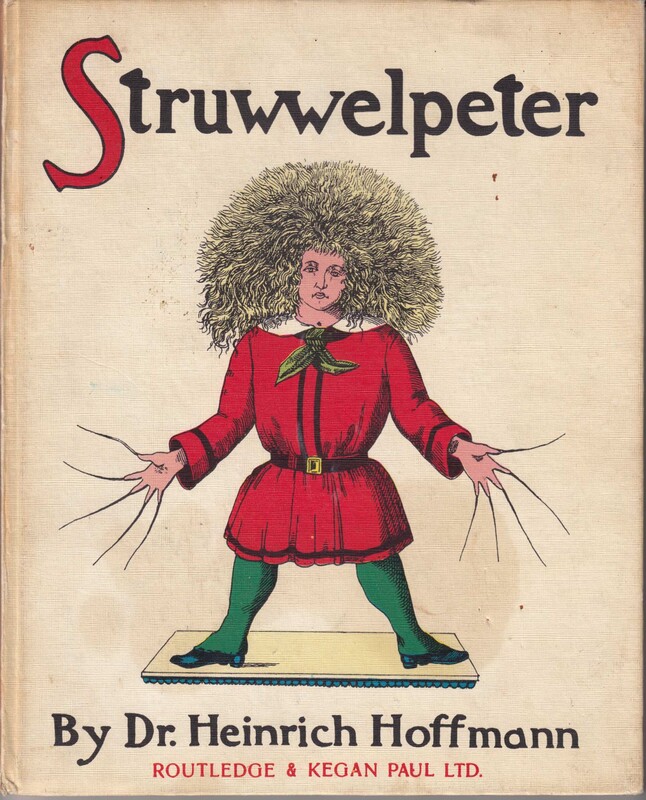 It’s called Struwwelpeter, and it was written and illustrated by Dr Heinrich Hoffmann in 1845. When I was a small child I lived with my grandmother in a huge and gloomy house. 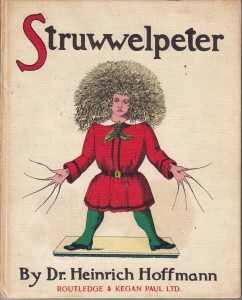 I missed my mother, refused to brush or comb my hair, and generally misbehaved, so my grandmother showed me Struwwelpeter. 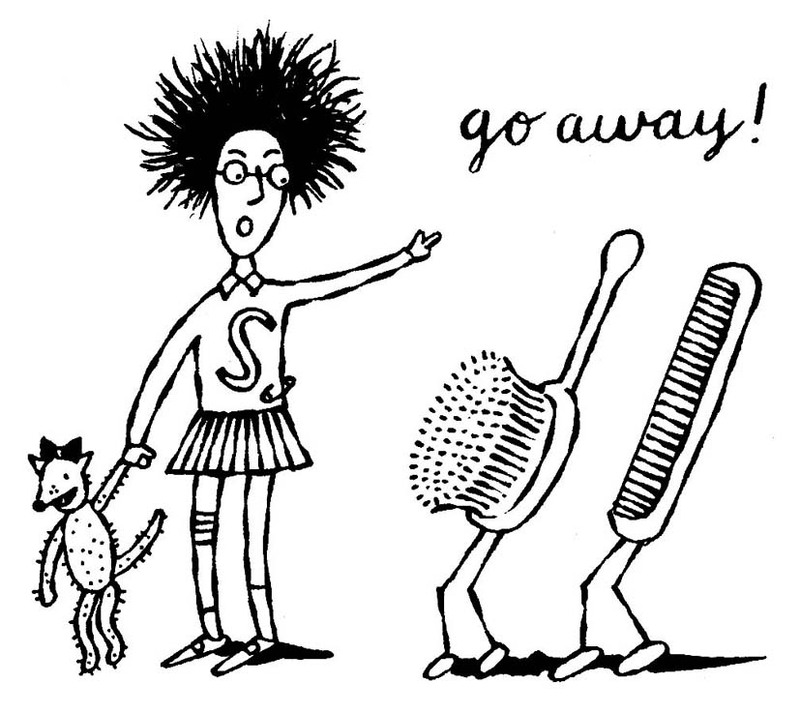 “This is what you’ll look like!” she warned, and I was delighted – looked good to me, and years later I wrote and illustrated a book called … Hair. 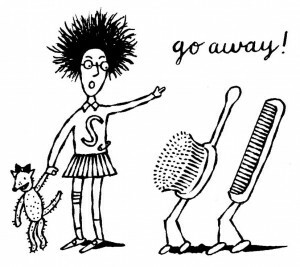 This entry was posted in Books, Family and tagged Blooming Club, books, childrens books, China, Christa Tam, Dr Heinrich Hoffmann, drawings, Hair, Hong Kong, Hong Kong Young Readers Festival, illustrations, Sally Kindberg, Struwwelpeter. Bookmark the permalink.